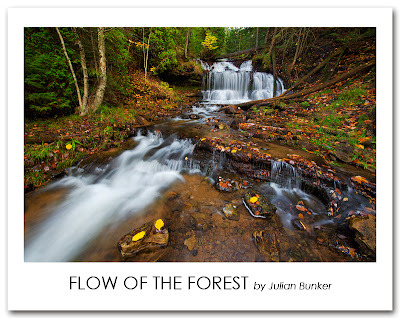 The waterfall above is Wagner Falls in Munising, MI. There was just a touch of fall color, I was a bit late for this location. But what can you do except bask in the glory that is the wonderful Upper Peninsula. Wagner is one of my favorites in the U.P. The waterfall is elegant and the flow of the water moves so smoothly through the forest as it continues its journey to lake Superior. I hope everyone enjoys. Technical detail: Canon 6D, Nikon 14-24 (@16mm), Novoflex Adapter, Fotodiox 145mm CPL Filter, ISO 100, F/11, two image blend, one for water detail, one for shadow detail.